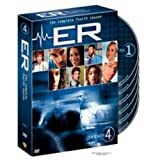 A captivating medical drama, ER follows the lives and challenges of the Doctors and interns at the Cook County General Hospital in Chicago, Illinois. The show is based on a real-life doctors own experiences as a resident physician in a hospital emergency room and the day-to-day events he encountered. Experience the heartbreak and the fast-paced emotional excitement that can be found in this stressful workplace, while each person deals with love and relationships, and hopeful interns struggle to become licensed physicians.